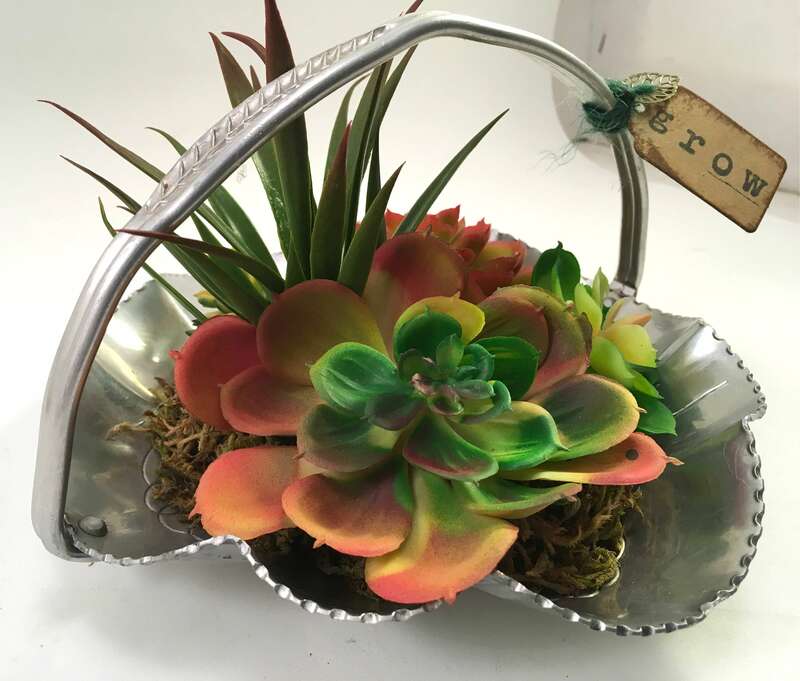 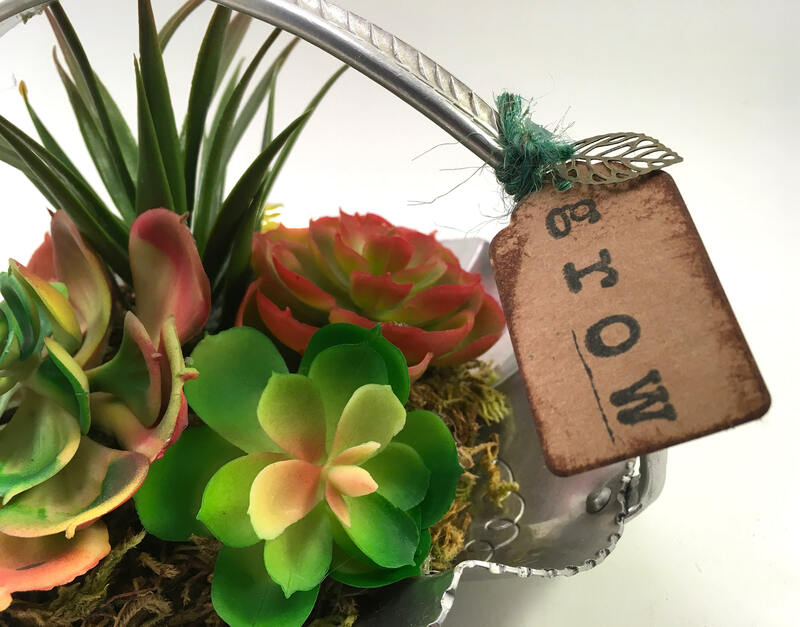 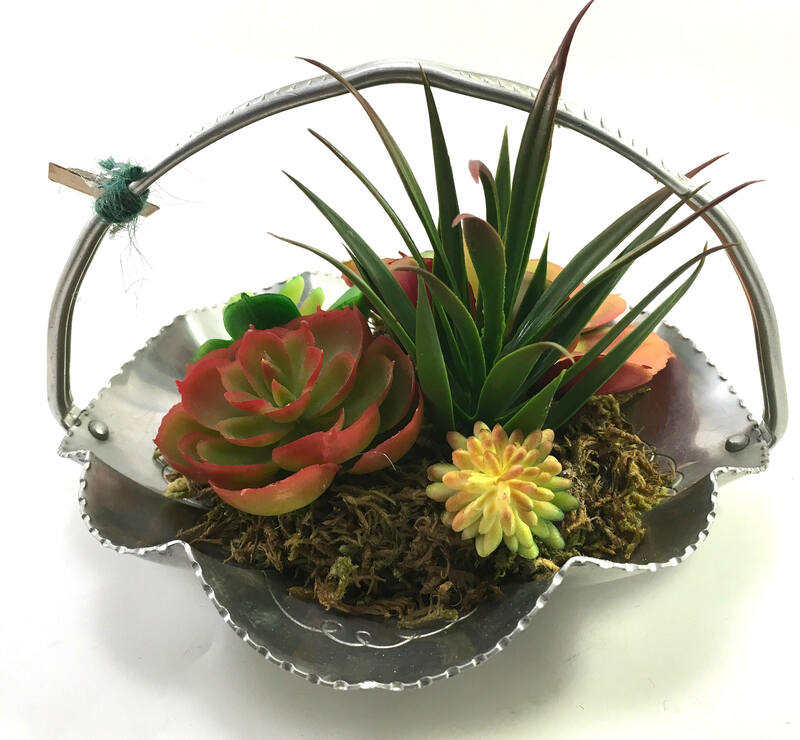 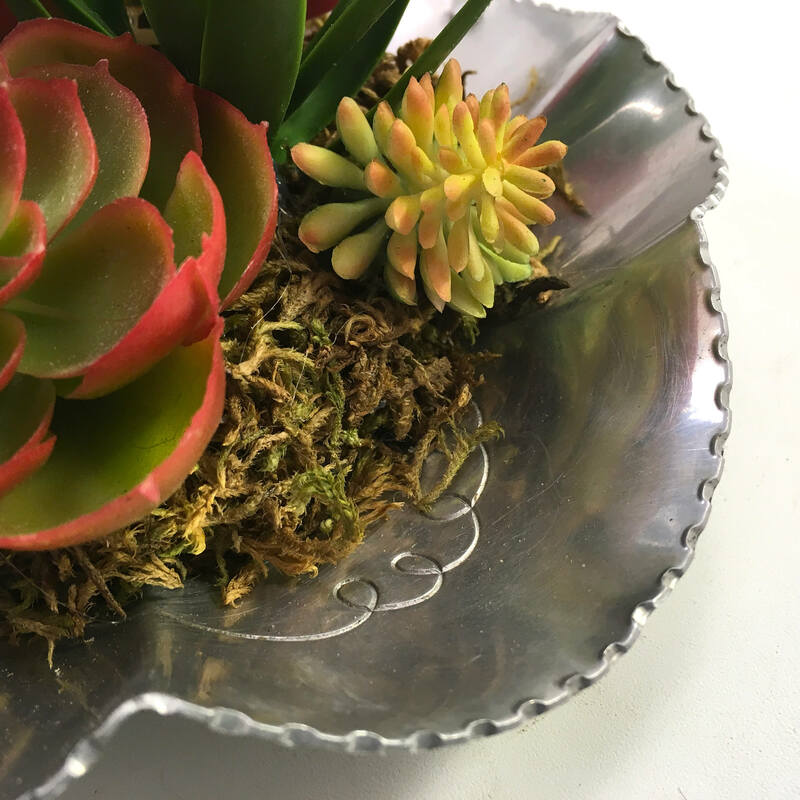 This mid-century aluminum basket is a cute container for a faux succulent plant arrangement. 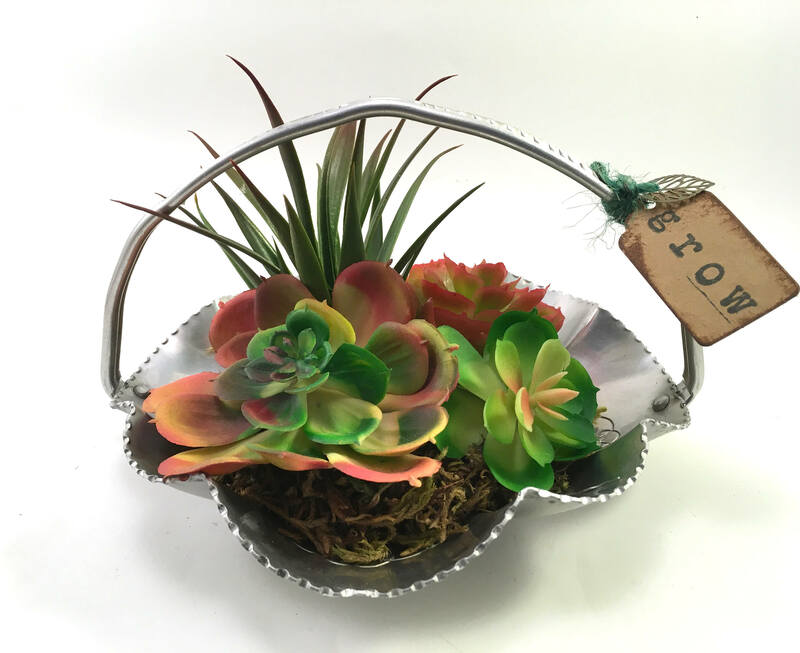 The basket is scalloped and has a pretty little curlicue design. 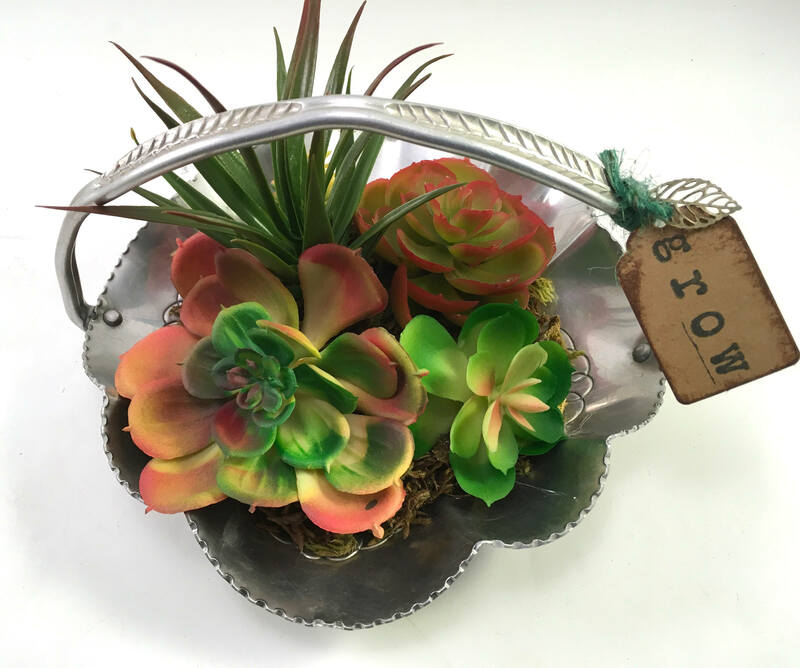 The handle has decorative leaves in relief. 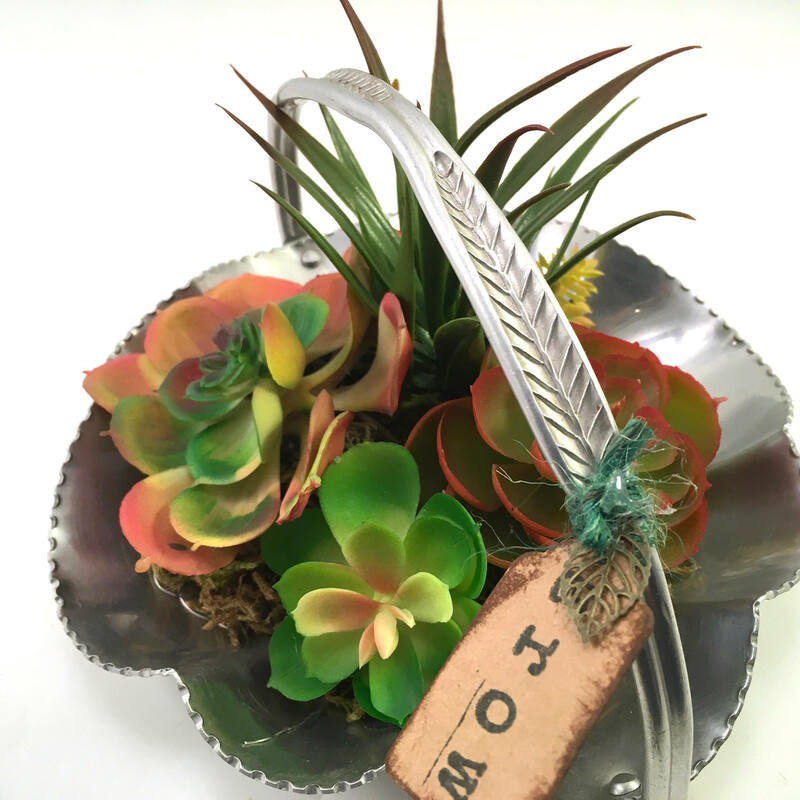 I added a tag with the inspirational word 'grow' and a bronze leaf charm to the handle.